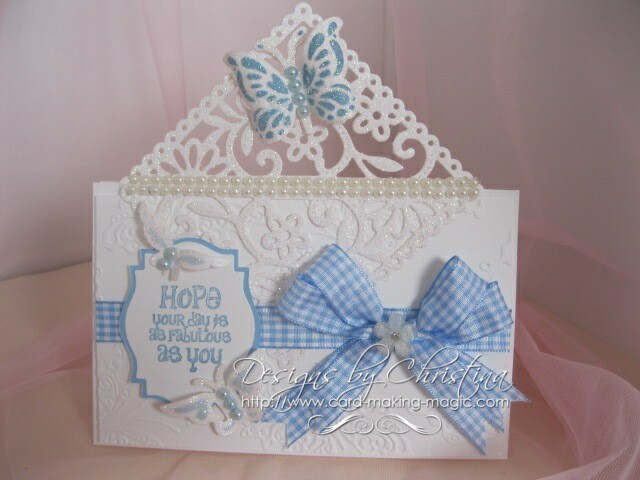 Do you want to make a card with a difference ? 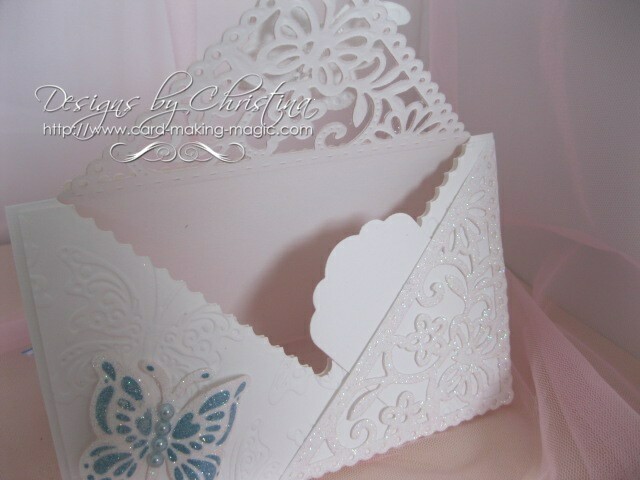 Then let the Spellbinders Butterfly Corner die set help you to do just that. It doesn't have to be just for corners ... oh no ... think outside the box and let your imagination go and you will come up with lots of ways to use this very versatile set. The Spellbinders series of videos on this website will show you some ways to get the best from this and many other SB dies that you may have in your own collection. The tutorial is not long ... just enough time for a cuppa and a biscuit as you take a little "Me" time to sit and relax as you watch. Then get out those dies and look at the cutting edge and see if one of the ones that you already have in your collection will give you a similar effect. You may also like to try the Decorative Blossom Corner for another look with your corner dies that will create another beautiful design for you. You will need to decorate the back on this card as it will be seen from all angels. And you may want to also decorate the inside as it too can be seen through the opening. The little tag is tucked into the pocket for a signature or small greeting that you may want to add. It is another card that looks intricate but is much easier than you think. And I know you can do it and will love it once you have. So get out that die that you have had sitting there for ages. Maybe it is one you bought and have got fed up with just creating corners ... or maybe it is one you bought and have been to scared to try. Well now is the time and the video will take you step by step through the process ... and if you get stuck just rewind the video and watch again.